Alstom is showcasing its complete mobility solutions for urban signalling and services at the Middle East Rail, which opened in Dubai, UAE, today. “Alstom has been a reliable partner for the Middle East region since decades,” says Thi Mai Tran, managing director of Alstom Gulf. “Alstom’s dedication to the UAE and the Middle East market and to the development of its transport and mobility network which includes tramways, metro, as well as signalling is confirmed by the number of projects currently in the region. Alstom is looking forward to further reinforce its commitment to the development of the Middle East mobility sector and economy through participation in the upcoming railway and mobility projects,” says Tran. Alstom, the provider of the Dubai Tram and the leader of the ExpoLink consortium for Route 2020 project of the Red Line extension of Dubai Metro, has highlighted eight new technologies with the power to transform mobility in the Middle East now – or in the very near future. 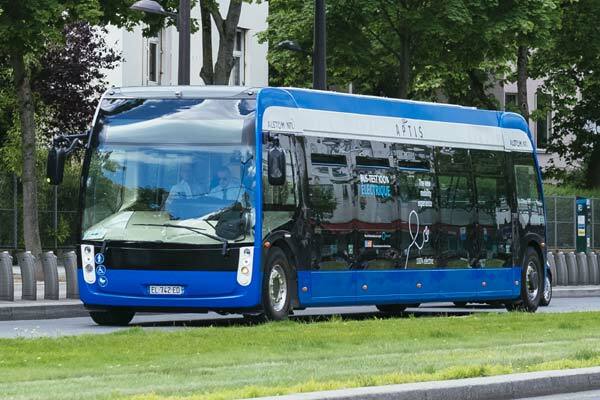 Ranging from connected technology to help passengers plan easier, more comfortable journeys, to autonomous last-mile shuttles, next-generation electric buses, and behind-the-scenes management systems to keep the whole transport system running smoothly, each of the innovations is available now to be deployed. When put together, they offer a revolution in smarter, more sustainable mobility for both passengers and operators, and will help rapidly growing cities move and breathe more easily for a better tomorrow. Alstom has a strong tradition of bringing its global expertise, job creation and enrichment of the local supply chain to its projects. In the past years, Alstom has created over 400 jobs in the UAE and partnered with several local suppliers. Among the solutions Alstom will present on its booth are its Urban Integrated solutions; Citadis range (more than 2,500 Citadis tramway have been sold in 53 cities); Mastria, the orchestration of all public transport modes from rail to road; Ecodesign: sustainability in mobility from manufacturing to recycling; and Aptis: the premium passenger experience inspired from the tram.